The Minister for Health has a 25-year-old autistic son Jamie. MINISTER FOR HEALTH Dr James Reilly has called Dr Tony Humphreys’ claim that there is a link between parenting and the development of austism “utterly outrageous”. Reilly has a 25-year-old austistic son and this was his first public comment on the suggestion that there is a link between autism and parents not showing love and affection to their young children. Jamie did not talk until he was five but he has since graduated from Trinity College Dublin with an honours degree in genetics. The Minister also moved to reassure parents that there is no link between parenting skills and the disorder. Last week, Humphreys stood over the comments first made in his Irish Examiner article on 3 February. Speaking to Claire Byrne on the Marian Finucane Show he once more suggested that there is a link between the expression of love to a child and autism. Reilly said that his interview on RTÉ Radio compounded the hurt he caused to parents. Concluding his interview with TV3′s Ursula Halligan, Reilly urged parents to not set a limit on their children. Humphreys’ article was highly criticised by numerous austism support groups and other psychologists. Pat Matthews from the Irish Autism Society said that if the psychologist is as insensitive as he seems then he has “no business in the autism field”. Humphreys told TV3 News that he regrets if his comments caused hurt but he does not regret speaking what he believes is the truth. The original article has since been removed from the Irish Examiner website. Email “Insulting and outrageous: James Reilly slams Tony Humphreys autism comments”. 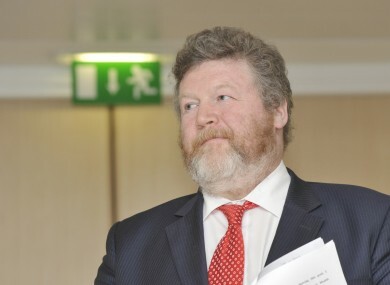 Feedback on “Insulting and outrageous: James Reilly slams Tony Humphreys autism comments”.